Main Exhibit Gallery at 301 West Main St. is celebrating 20 years of retailing fine craft and art made in the United States with an anniversary show featuring 20 of their past and present artists. The opening reception, which will be held from 5-8 p.m. Saturday, will also be the grand opening of the gallery's new two-story addition. The Sirofchucks opened the gallery in 1994 when they relocated from Philadelphia to western Pennsylvania, where Paul Sirofchuck was originally from. “When we saw the old brick Victorian on Main Street, we envisioned what we could make of it and set to work renovating,” said Paul Sirofchuck. Music from The Carpenters, Marvin Gaye, The Doobie Brothers and Barry White will be featured. “Over 57 tunes from the '70s will be performed,” said Eric Harris, executive director of the theater. Harris, who is both directing and starting in the musical, said when he suggested the show to the board of directors, they immediately liked the idea. A bit of “Christmas in July” holiday spirit melted its way around the Ligonier Diamond last Thursday. Ligonier Creamery owner Dave Gehlman offered the fundraising idea to Mowrey as a way for the community to help support the chamber's efforts. For every hard ice cream cone purchased, Gehlman donated half of the proceeds to the chamber. 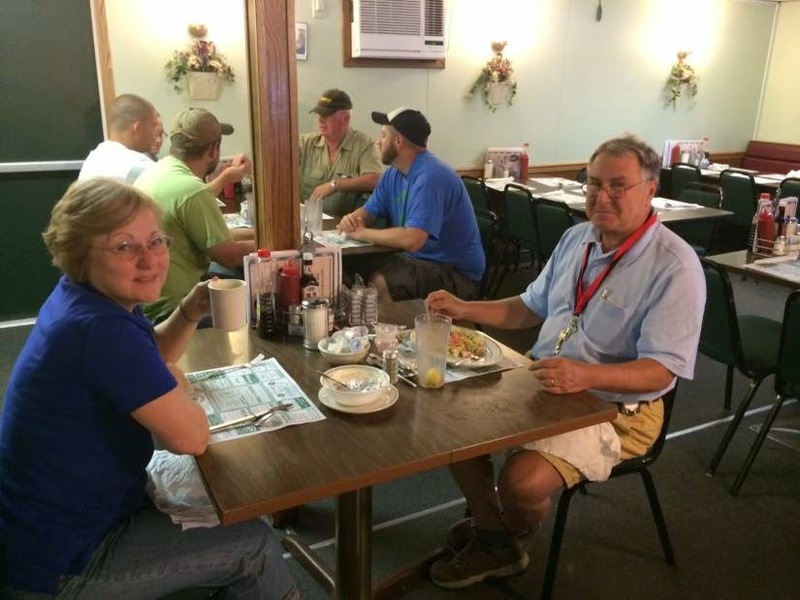 Locals and out-of-towners alike funnel through Ruthie's Diner by the dozen each day, some to grab a cup of Joe and some to grab hotcakes on the way to work, or a quick bite before hitting the rides at Idlewild Park. “There really is a Ruthie,” said namesake and owner Ruthie Stevens, 80, of Somerset Pike. Stevens has managed the diner for approximately 28 years, keeping track of the books and offering her own cooking expertise at times. 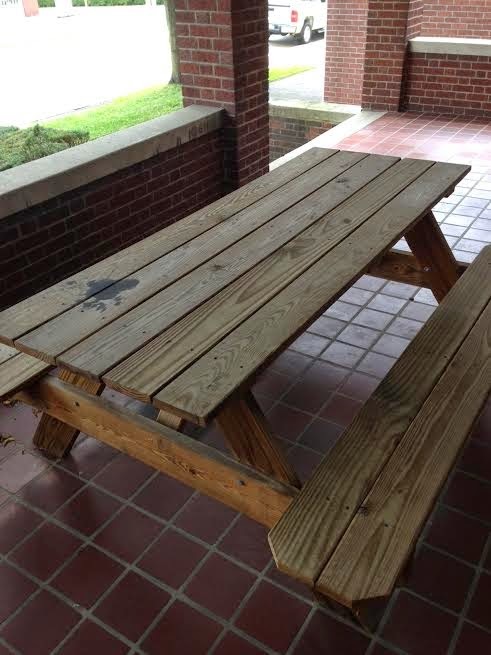 Do you know someone who needs a picnic table? 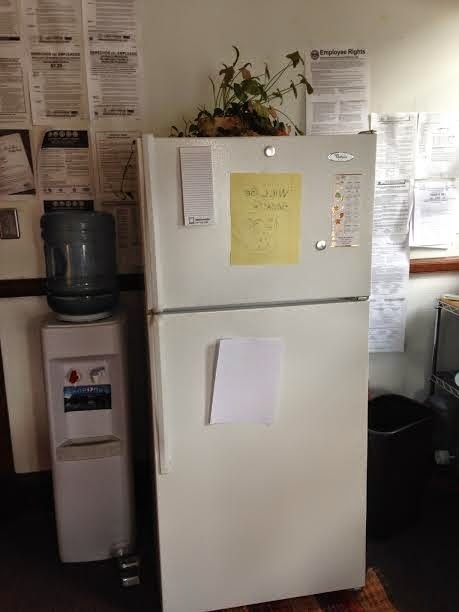 Do you know someone who needs a fridge? We are on for tonight's Lincoln Highway SupperMarket from 5 to 8 P.M. at the Lincoln Highway Experience Museum, 3435 State Route 30 East, Latrobe. 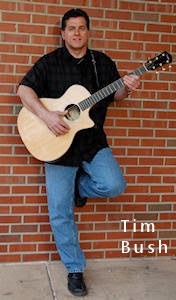 Purchase food from six vendors while listening to Tim Bush serenade us. For more information, visit www.LincolnHighwaySupperMarket.org . Hope to see you tonight! In an April 2013 consent order signed by Nied, her neighbors and Ligonier Township officials, Foxley Farm owners agreed to hold 11 weddings through the end of 2013. Nied's neighbors wanted the weddings to stop, saying the large events attended by as many as 200 guests caused noise and traffic congestion in the quiet countryside. During a hearing earlier this year, Nied admitted she hosted 16 events in 2013 after approval of the consent order. During nearly four hours of testimony on Tuesday, she said Foxley Farm hosted at least two additional events this summer. Attorney William Sittig, who represents the neighbors, said he wants the judge to fine Nied for violating the consent order. “We're asking for the money she gained by throwing those weddings to pay for attorney fees,” Sittig said. Feliciani said he will decide whether Nied is in contempt of the consent order after he receives written arguments from the attorneys within 40 days. "In a little-publicized report released last week, the U.S. Chemical Safety Board (CSB) determined that an egregious lack of oversight at chemical storage company Freedom Industries, which used tanks damaged by corrosion to hold toxic materials, caused the disastrous chemical spill in West Virginia in January that contaminated the state's largest public water supply. 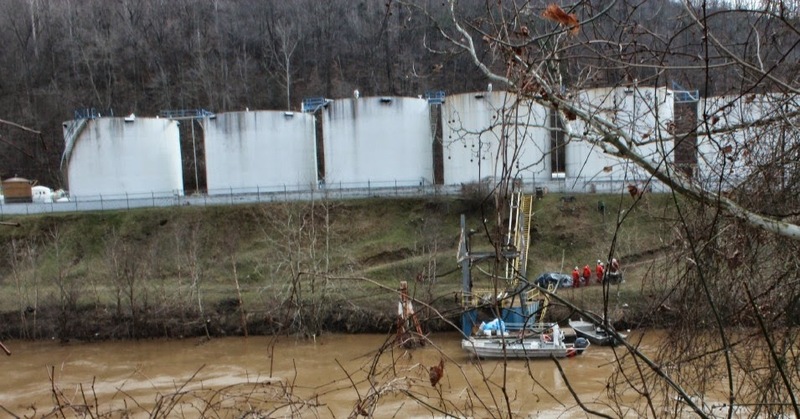 Two holes in the bottom of a 48,000-gallon tank allowed hazardous materials to contaminate a portion of West Virginia's Elk River, which supplies fresh drinking water to nine of the state's counties. But it was Freedom's widespread, deeply ingrained lack of oversight and necessary regulations — despite knowing the hazard the materials might present to the public — that was responsible for the spill, CSB said. "[It] has become clear that Freedom Industries did not have a rigorous inspection program for these chemical storage tanks sited close by the Elk River and just upstream from the facility supplying water to hundreds of thousands of people," said CSB investigator Lucy Tyler." 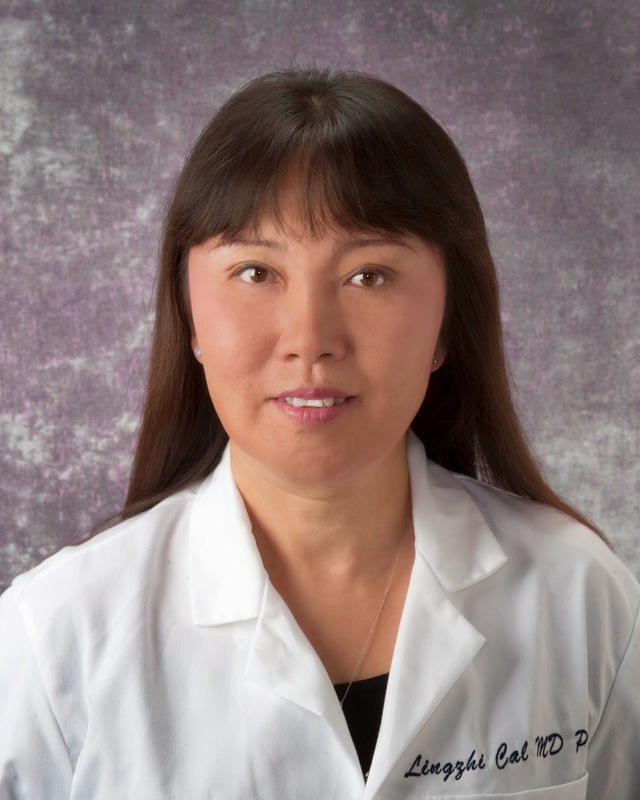 Coming to Latrobe Friday, August 1.
traditional Chinese medicine meridian theory which has been used in the treatment and prevention of illness for over 2,000 years. 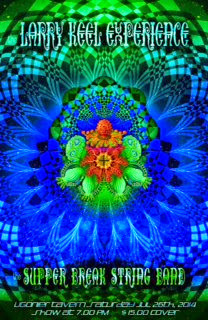 meridians in balance or how to correct imbalances, you will facilitate your healthiness, preventing your health problems living in happy healthy! 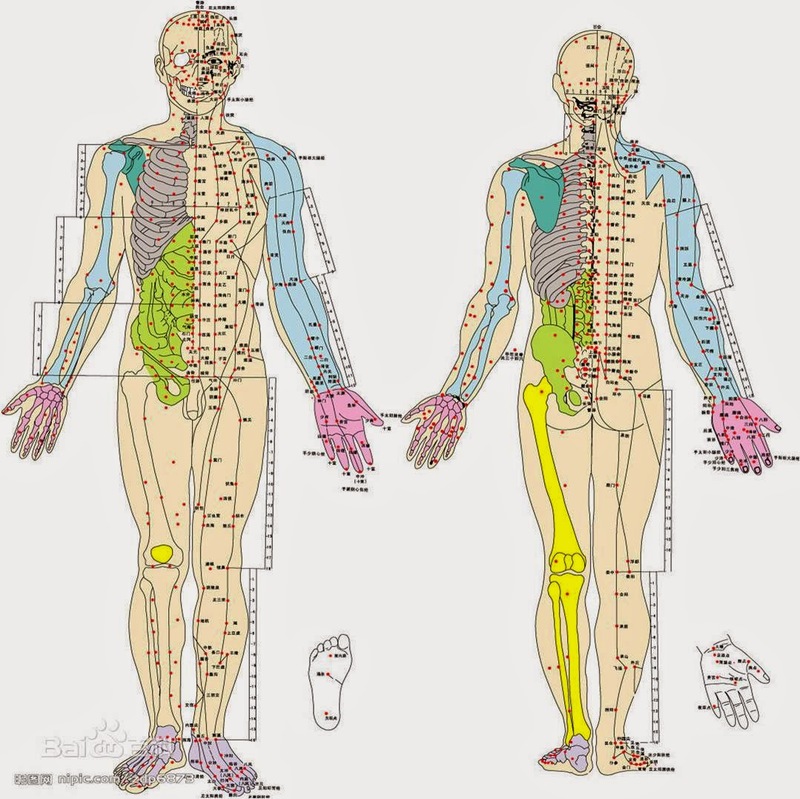 Class 1: You will learn and practice Chinese Medical Exercises that consist of pressing one's own pressure points and stimulating areas of the body that will help you develop muscle tone, boost your immune system, balance emotions, flush out toxins and open blockages to improve circulation and energy flow and balance Yin and Yang. Class 2: You will learn basic knowledge of 12 meridians and how to find pressure points on each meridian and how to use pressure point massage therapy to prevent and treat many health problems such as neck, shoulder and lower back pain, high blood pressure, high cholesterol, diabetes, asthma, insomnia, constipation, dry eyes, depression, anxiety, headaches, etc. Just came out of Ligonier's newest gift boutique Anna-Lynn that opened next to The Ligonier Outfitters Newstand on West Main Street. I stopped in looking for a baby shower gift and left not only with the gift but a pull toy for my dog, a tube of Bunny Shea Butter Cream for myself, and a lust for a Chan Luu wrap bracelet. What a variety of gifts this cute store has! 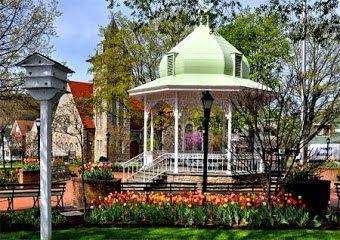 Merchants in Ligonier are making it really easy for all of us to shop locally! 80-y.o. pipeline to carry gas close by...what could go wrong? 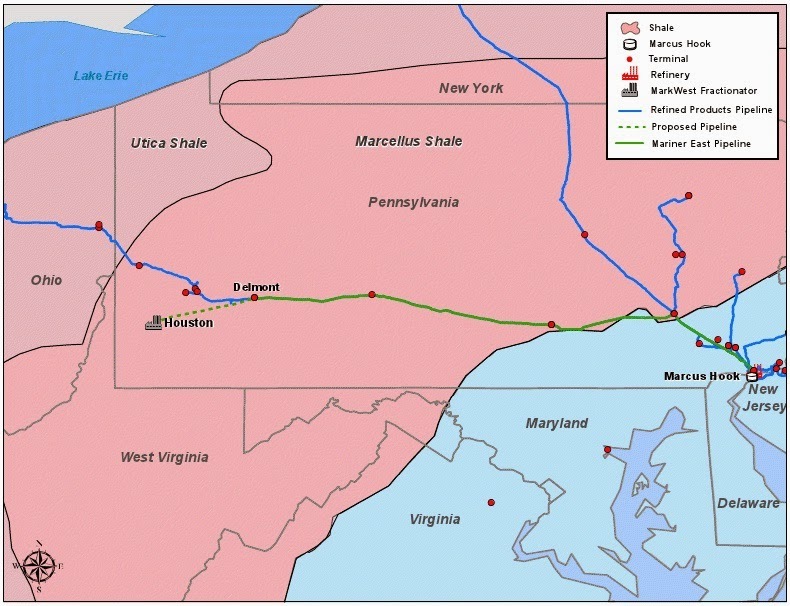 "The (Sunoco) project looks to re-purpose an 80-year-old pipeline to deliver liquid natural gas products, mainly ethane and propane, from the Marcellus Shale region in western Pennsylvania to the Marcus Hook Facility in Delaware County. The pipeline previously carried petroleum products from east to west, and is now not in use. Sunoco is seeking public utility status from the Pennsylvania Public Utility Commission, which would allow it to bypass local regulations in the 31 municipalities where its pumping stations and valve control centers are set to be built for the project. 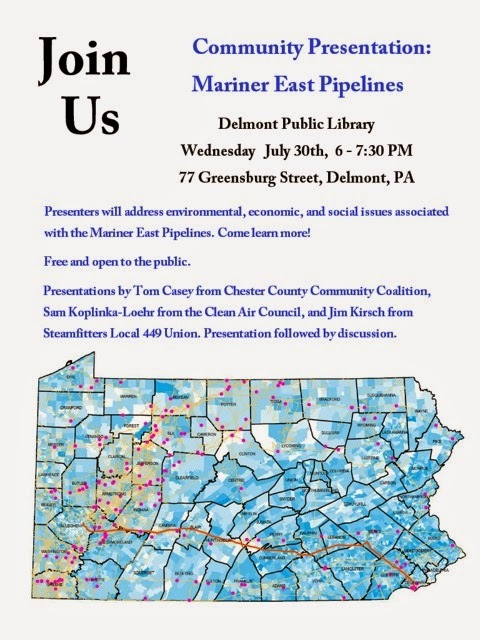 Sunoco maintains it is a public utility based on the previous use of the pipeline, while opponents say Sunoco does not meet the definition and should be forced to deal with municipalities’ local regulations." Mt. Pleasant and Penn Brewery from Pittsburgh. Each brewery will have several craft beers on hand. We will also be serving barbecue ribs, chicken, hamburgers and hot sausage from the grill. 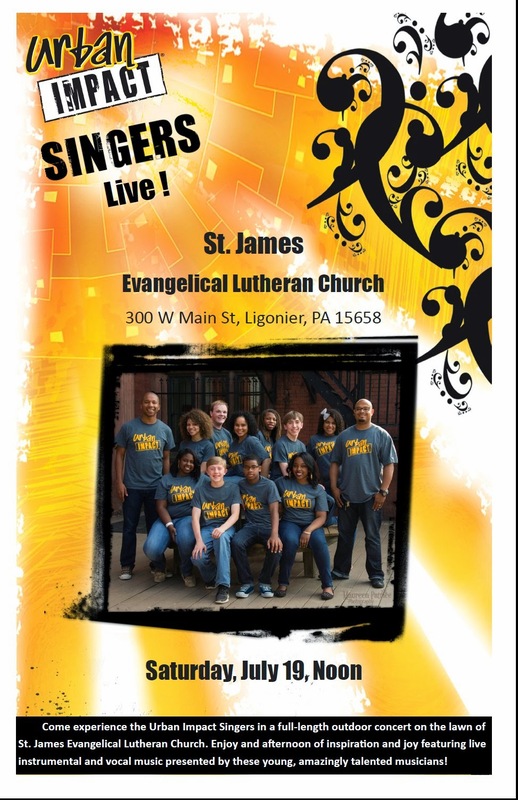 Admission is $20.00 Proceeds benefit Ligonier Volunteer Fire Department. This is the traditional Islamic ultimatum to non-believers - convert, pay a tax or be put to death. Bombyonder is novel by Reb Livingston forthcoming from Bitter Cherry Books in October 2014. One sentence synopsis: Lady swallows a bomb in pill form (invented by her father), barfs up a dead bird and embarks on an excavation layered with murder, sexual politics, patriarchy, matricide and ancestral torment along with a parrot-faced cat girl, a boy on a donkey, a terrifyingly handsome lover/golem, an unconceived brother, a straight-texting friend who lives in a box inside a box and Medusa. The Bombyonder Tumblr is a selection of reconstructed memory and historical fragments that appear in and/or influence the novel. Chicken Broccoli Walnut Lomein is the weekend special at Mountain Palace. It is a particularly tasty and healthy treat you are sure to enjoy! Traditional Chinese Medical Exercise and Chinese Meridian Acupressure sessions will begin next Friday August 1 in Latrobe. Located in the Olde Main Building at 350 Main Street, the Medical Exercise session will begin at 12:00 and the Meridian System Acupressure session will begin at 1:30. Interested individuals can contact 724 288-3872 or email claysh@gmail.com for further information. These sessions are also available at Mountain Palace Saturdays at 11:00. The happyhealthyclub.net website is making some progress with videos available of traditional Chinese medical exercise, Meridian System acupressure introduction, the Pitt Innovation Challenge diabetes intervention application and, of course, juggling instruction. 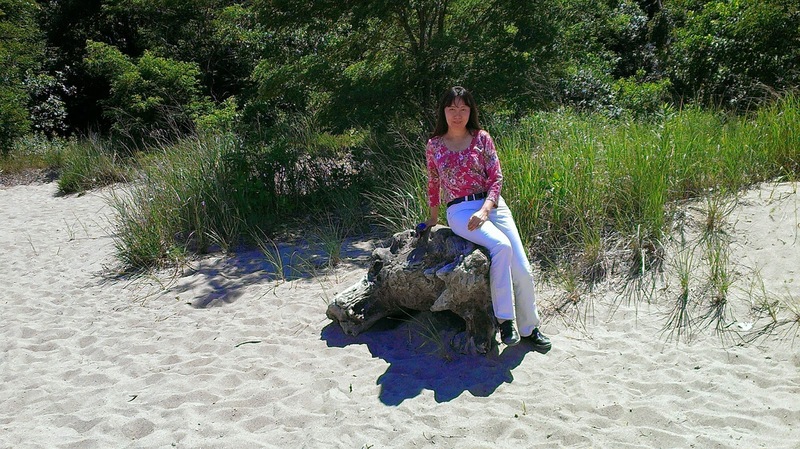 A few blog entries are available. We are attempting to develop entries related to the concepts of "Lamb Soup for the Soul" and "Speechless." Check it out now while it's free, the paid membership function is still not activated. Mountain Palace is located eleven miles north of Ligonier left off of Route 711 onto Creek Road directly across from Mirror Lake. Friday 6 to 9, Saturday 12 to 9 and Sunday 12 to 6. Legal wrangling over the future of a 56-acre Ligonier Township farm whose owners wish to use it to play host to weddings and other large social gatherings will continue in court this month. On July 29, Westmoreland County Judge Chris Feliciani will hear arguments as to whether the controversial Foxley Farm property can be classified as a bed-and-breakfast under the township's zoning code. The legal dispute involving Foxley Farm has dragged on for more than a year as the property's owners, township officials and neighbors sparred over the use of the farmhouse and its accompanying acreage. Foxley Farm owners Maggie and PJ Nied contend they have the right to use their property to play host to weddings and other large events. The township has repeatedly denied requests to change local zoning laws to accommodate the Nieds' plans. Given the forecast of thunderstorms between 3 and 7 PM, we have cancelled tonight's (July 23) Lincoln Highway SupperMarket. See you next week! What’s this? The ravings of a fundamentalist Jewish settler in Gush Etzion? Congratulations from a Christian Zionist hunkered down in his bomb shelter somewhere in the Deep South? 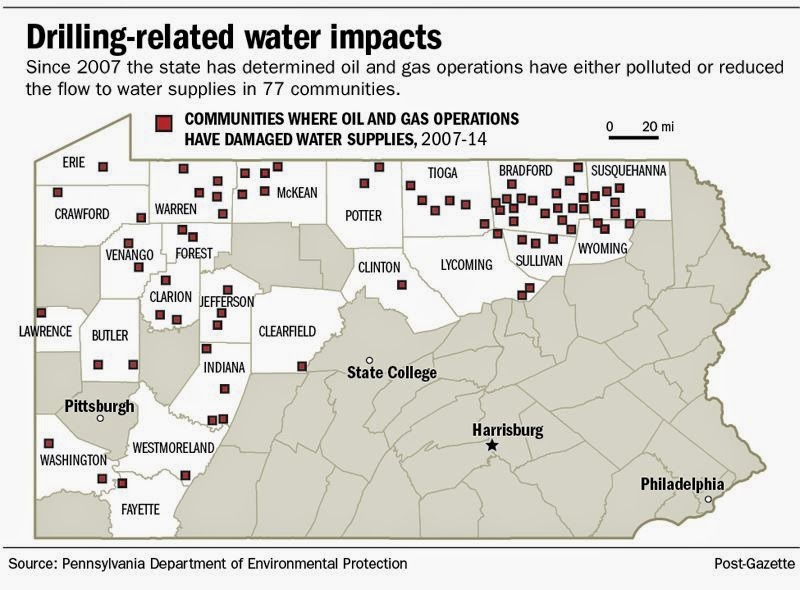 "The Pennsylvania Department of Environmental Protection was “unprepared to meet the challenges of monitoring shale gas development effectively,” according to a scathing 128-page audit report released Tuesday by state Auditor General Eugene DePasquale about DEP’s performance monitoring of potential impacts to water quality from Macellus Shale development between 2009 and 2012 – a report that lists eight findings that detail the department’s “shortcomings” related to its function as a regulatory agency. In a press release DePasquale said, “There are very dedicated hard-working people at DEP but they are being hampered in doing their jobs by lack of resources – including staff and a modern information technology system — and inconsistent or failed implementation of department policies, among other things. “It is almost like firefighters trying to put out a five-alarm fire with a 20-foot garden hose. There is no question that DEP needs help and soon to protect clean water.” The audit revealed that DEP failed to consistently issue official orders to well operators who had been determined by DEP to have adversely impacted water supplies. After reviewing a selection of 15 complaint files for confirmed water supply impact, auditors discovered that DEP issued just one order to a well operator to restore or replace the adversely impacted water supply." 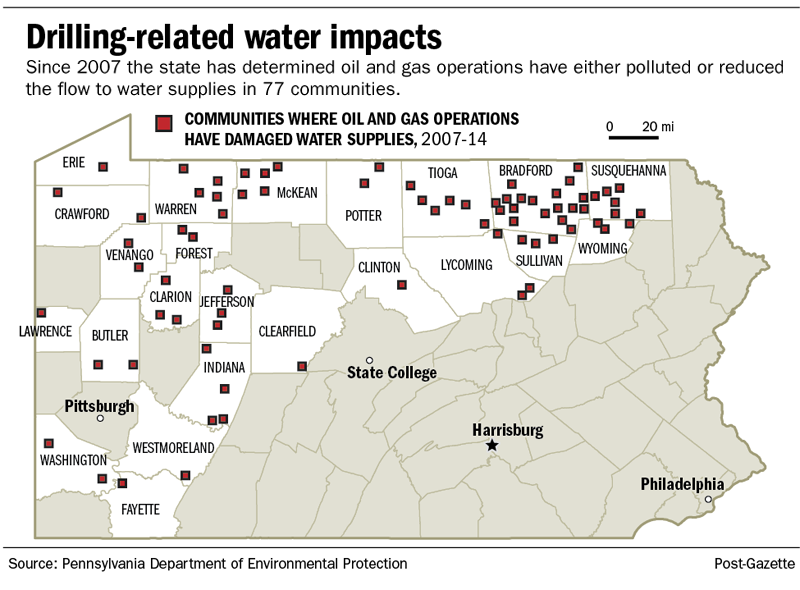 "Oil and gas operations have damaged Pennsylvania water supplies 209 times since the end of 2007,** according to official determinations compiled by the Department of Environmental Protection that the agency is preparing to release for the first time. State environmental regulators are planning to post the information on DEP’s website this month, but an early version of the spreadsheet was provided to the Pittsburgh Post-Gazette in response to an open records request. The spreadsheet lists the 209 affected water supplies by county, municipality and the date regulators concluded that activities related to oil or gas extraction were to blame for contaminating or diminishing the flow to a water source. The document does not disclose property owners’ names or addresses and it does not detail which companies that were deemed responsible for the damage, what caused the disruptions or what pollutants were found in the water. DEP’s deputy secretary for oil and gas management, Scott Perry, said the agency intends to enhance the spreadsheet by adding links to the letters or orders related to each case at some point, which should reveal more information about how water was affected. Environmental regulators are required by law to determine within 45 days of getting a drilling-related water complaint if oil and gas operations contaminated a water supply or reduced its flow. DEP reports its findings in letters to property owners. It also issues orders to companies to fix the damage in cases where oil and gas operations are found to be accountable or are presumed to be the cause because of the proximity between drilling activities and a disrupted groundwater source. Those conclusions are public records." Note: The areas where the damage is worst is where the industry has been the longest. As the drilling increases in WPA, we will see Bradford, PA-like results here, and they have plans to "carpet-drill" the entire state. Where residents have fought back in other states, the drilling activity has been stopped, along with the damage. There are other ways to feed our appetite for cheap energy...where there's a will in America, we always find a way. Our leaders need the will to do more than enrich the stakeholders of the oil and gas industry...or our children will hold us responsible for our lack of action. **And how many waterways were affected without reports filed to the DEP....? This is likely the tip of the iceberg. it's Mellow Mike night! This is an extra Mellow Mikefor July because Steve and Pat Powers are in town visiting from Arizona. Even activists at green groups such as Clean Water Action acknowledge that fracking isn't linked to serious earthquake activity. Even activists at green groups such as Clean Water Action acknowledge that fracking isn't linked to serious earthquake activity. Earlier this year after a 4.4 earthquake in Los Angeles, Mother Jones asked Andrew Grinberg of Clean Water Action about that quake's connection to fracking. "We are not saying that this quake is a result of an injection" of wastewater, Grinberg said in an article tendentiously titled "Was the Los Angeles Earthquake Caused by Fracking Techniques?" Given the animus against fracking, which is an old technique, once-beloved by environmentalists, and largely responsible for decreases in American greenhouse-gas emissions, expect fracking to be spuriously linked to more and more problems, real and imagined. FREE CONCERT - Saturday, September 19 at noon on the lawn at St. James Lutheran Church, Ligonier PA.
Who doesn’t remember attending a neighbor’s Tupperware party? Even if you’ve replaced your containers and lids, you are welcome to join the Lincoln Highway Heritage Corridor for their fall bus trip into Pittsburgh on Thursday, September 25, 2014. The day begins with a luxury coach stopping at Latrobe, Greensburg and Irwin. Next, be dropped off right in front of the Photo Antiquities Museum of Photographic History, where you’ll be treated to a Guided Tour. The featured exhibit is “The Dog Days of Summer” – a real howl! 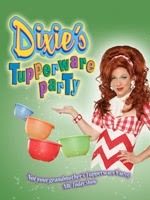 Then it’s off to the Cultural District for Lunch (all inclusive), and the fun-loving Dixie’s Tupperware Party show at the intimate CLO Cabaret, where there’s not a bad seat in the house. This entertaining (and adults only) day is the perfect outing for $88. Now accepting reservations by calling 724-879-4241 or visiting www.LHHC.org . Ligonier Police Chief John Berger cautions residents that in neighboring communities, people posing as utility workers have been going door-to-door to distract residents while another person goes through the back door to burglarize the homes. Ligonier Valley Trail...it's so exciting!! The gravel bed for the most recently completed segment of the Ligonier Valley Trail was barely laid in place, when it experienced its first activity. author of "Bayou Farewell" and director of the Chesapeake Climate Action Network.